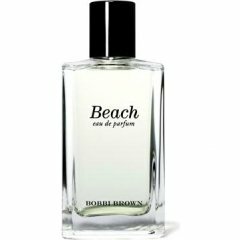 Beach is a perfume by Bobbi Brown for women and was released in 2002. The scent is floral-fresh. It is still in production. Attention, attention, little Jasmine is looking for the beach. If he is in the vicinity, please contact us in the garden. First of all I have to say that I remember Bobbi's Beach very differently than I was allowed to sniff him again yesterday. I used to find it watery, clear, clean and bright. My synapses seem to have changed. Today Beach smells like a morning in the garden to me. Dewy and the flowers awaken. Jasmin stretches himself first and shakes everyone else awake. The tangerine tree wobbles and the small mandarins rub against each other and exude a herb-green, fruity scent. Neroli very weak, still tired and sleepy. Covers up immediately and complains that it was awakened much too early. Well, the maritime notes are rushing through the garden on the express train. Huiiiii.... blue and fresh and windy and buzzing, gone again. Beach? Beach feeling? More like holiday feeling. This is the quintessential 'Coppertone' mimicking fragrance. Perfect for a tropical vacation anytime of the year. Jasmine and Neroli dominate the opening and soon an eerily accurate Suntan oil note presents itself. It will elicit a beach side scent memory for anyone who went to the beach between 1950-1980. The base of this is a delicate sea salt marine note which is not as loud and peculiar as the note in "Sel de Marin" or "Womanity", but when I inhale this deeply, it has that unmistakeable tinged of dried seaweed sunbaked onto driftwood and sea shells. When I wore this last week, my DH commented only "Hmmm, salty!". Somehow Beach manages to take me on this olfactory journey and remain an beautiful alluring casual floral scent that I always return to every year. I original bought the body soap bar which has real sea sand in it and is great for exfoliating the skin and getting a delicate base layer of this scent into the pores during a hot shower. I also bought the bath oil and this is a beautiful way to layer this fragrance to make it last up to 12 hours. Admittedly, sometimes I don't want to smell like this but I like to spritz it in the air, close my eyes, put on a recording of ocean waves and pretend my house has just been relocated to the beachfront...it totally works! Frequently, people want to know how this compares with CB I Hate Perfume's "At the Beach 1966", which I have also tested. To be honest, they are so close, but I would say Beach is slightly more jasmine-floral, marine and wearable, while I found 1966 to be truer to the chemical aspects of Coppertone Suntan lotion and sunbaked skin. I highly recommend this one for the price, it is a mini vacation in a bottle.